Anthony Tavis Folk Art: A Jammin' Autumn! The Monte Sano Arts Festival in Huntsville was a great show! 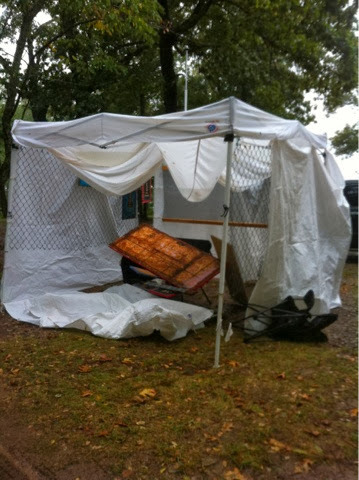 Despite the collapsed tent and the pouring rain. Of course, I met some great people and saw some old friends, and my parents finally got to see me in my element. Christmas is coming up soon and it's never too early to start stocking up on some one of a kind hand made gifts while supporting your local arts scene! Here’s my Fall line up, hope to see y'all in the next few weeks!! October 12th: Art and Music on the Green, Ross Bridge, Hoover, AL. Arts and Music with lots of Beer Wine and Food tastings!! It's going to be a busy Autumn, I hope to see Y'all real soon!